It’s time to ponder the rise of the free-form menu, nip out for a sip of something warming, and welcome the rich flavours for winter with a super tasty recipe from Maggie Beer that’s simple enough for a weeknight, yet special enough for a family weekend get together. It’s time to ponder the rise of the free-form menu, nip out for a sip of something warming, and welcome the rich flavours for winter with a super tasty recipe from Maggie Beer that’s simple enough for a weeknight, yet special enough for family weekend get together. The dog days of summer are upon us. What to do? We think it’s time to gather up those wonderful flavours of late summer before they disappear for another year. So, we’re doubling up our serve of recipes for this edition of Eat Like a Local. Think peaches, watermelon, kangaroo, and haloumi. You like? Read more. ‘Tis the season to be feasting, and if we’re feasting, let’s feast local! 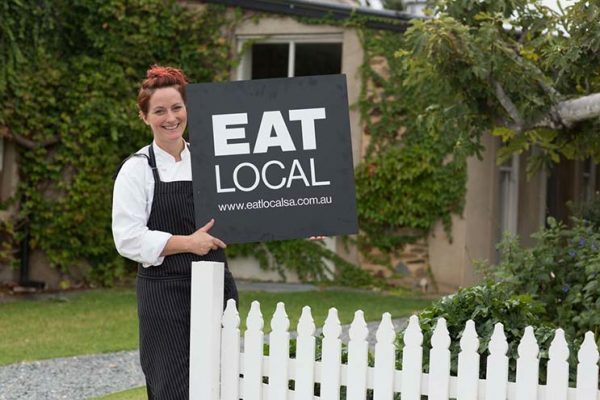 This issue of Eat Like a Local is here to tell you where you’ll find South Australia on a plate these holidays. And if you are feasting at home, we’ve got more good news. 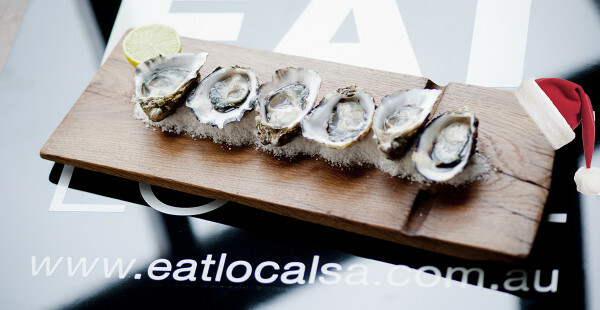 Happy ‘feastive’ season to one and all from Eat Local SA. Once the spring racing carnival fashions hit the stores, we know it’s a (scarily) short countdown to the summer holidays and the festive season. At Eat Local SA, we’re here to help, so this issue of Eat Like a Local is all about cunning culinary Christmas ideas to help you eat and play local this party season. And if you’re eating at home, our recipe in this issue showcases the world-renowned produce of Kangaroo Island. Spring is always inspiring for food-focused folks. But while we are watching for the first bunches of tender asparagus and those brilliant green baby broad beans to appear, August isn’t just a waiting game for the new season in South Australia. Instead, it’s when we go on a state-wide art binge, and Eat Local SA venues are hosting a veritable art feast right now. Plus we have new Eat Local SA participating venues to introduce to you, news of tours and special offers, and a fantastic recipe from Beerenberg Farm to celebrate the end of winter. There’s a chill in the air at long last, and it’s time to get cosy with some great South Australian produce at your favourite Eat Local SA venue. From Adelaide city and suburbs, to Coonawarra down south, and north to the Flinders, we’re all set for some fine feasting, plus our feature recipe from Taste the Yorke will get your creative mojo going in the kitchen. Let us put a spring in your step with news of the latest venues to join us in the Eat Local SA program, introduce our tempting new app, and tickle your competitive streak with the chance to win a delicious dinner for two at Windy Point Restaurant. 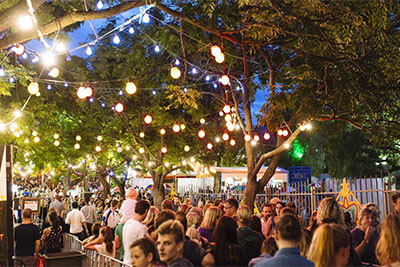 Welcome to Mad March in beautiful, festival-fevered Adelaide. Yes, it’s crazy busy and yes, it’s easier to book a cab than pray for a carpark, but oh, what a city this is when she has her festival frock on. Hunker down with that espresso martini, people, we’ve got some serious eating to do.